By Melissa Lennig on April 5, 2018 3 Comments. This content contains affiliate links. As an Amazon Associate I earn from qualifying purchases. 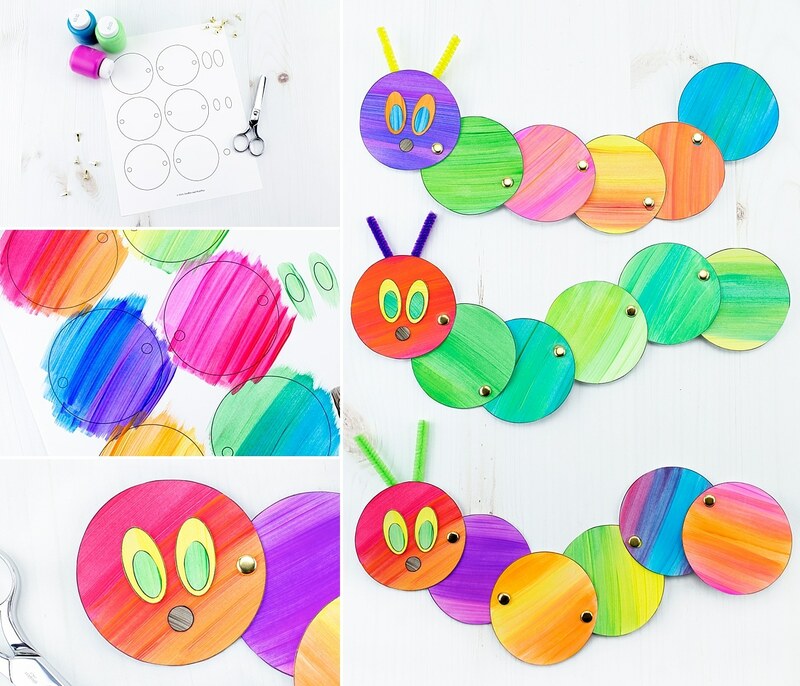 Inside: Looking for an easy and fun caterpillar craft for kids? 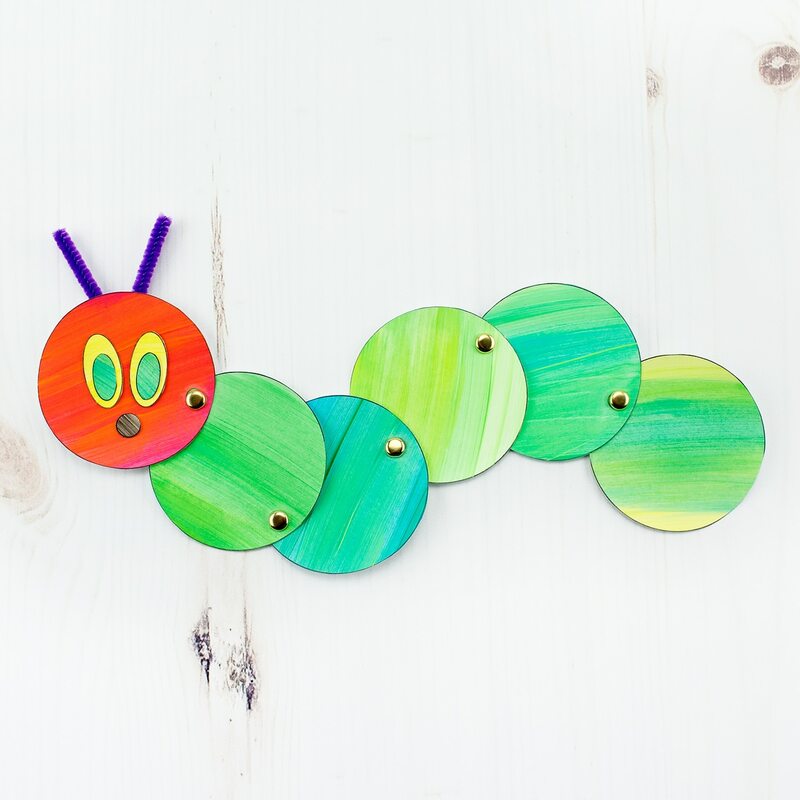 Inspired by The Very Hungry Caterpillar, our simple caterpillar craft includes a printable template, making it perfect for home or school. 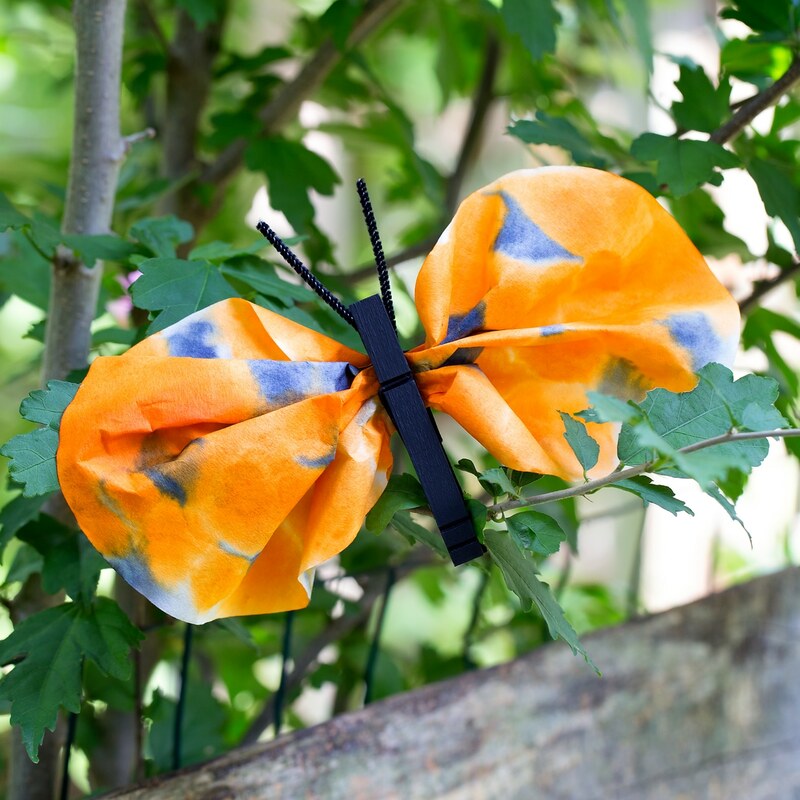 Spring is the perfect season for caterpillar crafts! 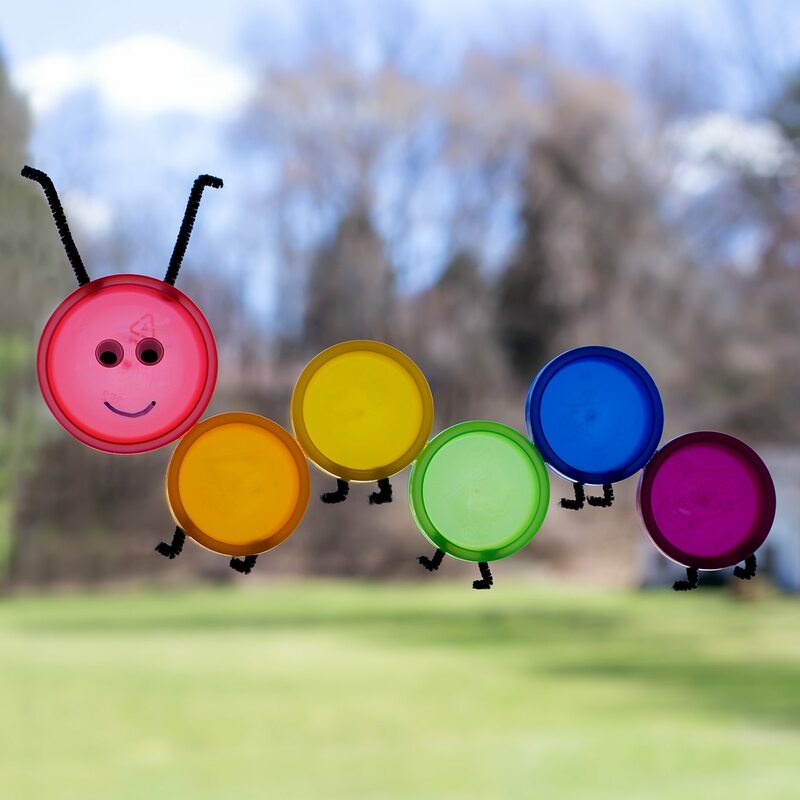 Whether kids are learning about insects, spring, blending colors, or simply enjoying a creative activity at home, this easy and fun caterpillar craft is a fun way to extend your spring unit. The best part? It really moves! 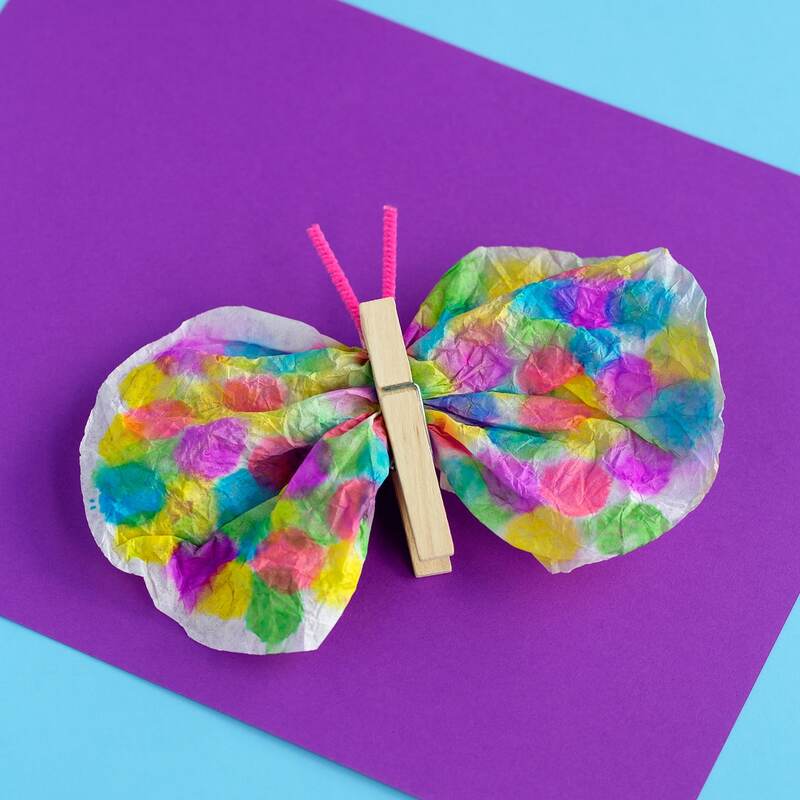 This colorful craft would look adorable on a school bulletin board or at home on the refrigerator. 1. 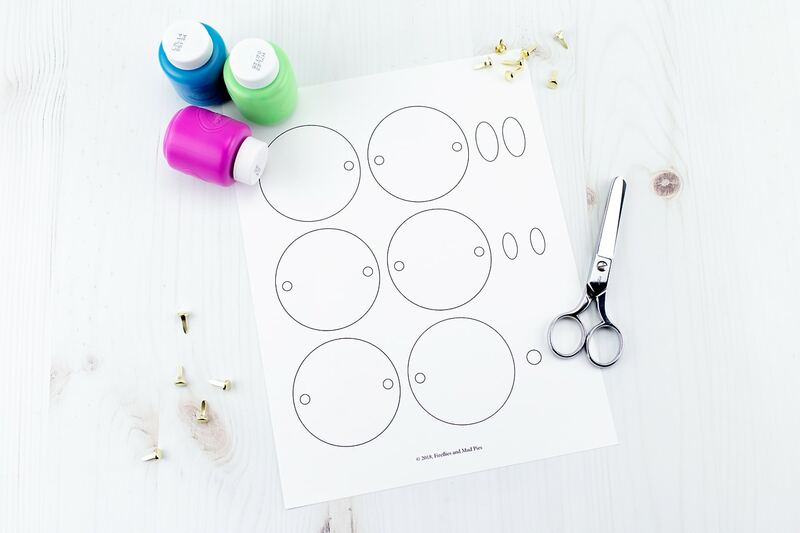 Print the template on white cardstock. You will need one template per child. When you are printing this template, be sure to have “actual size” checked in your printer menu. 2. 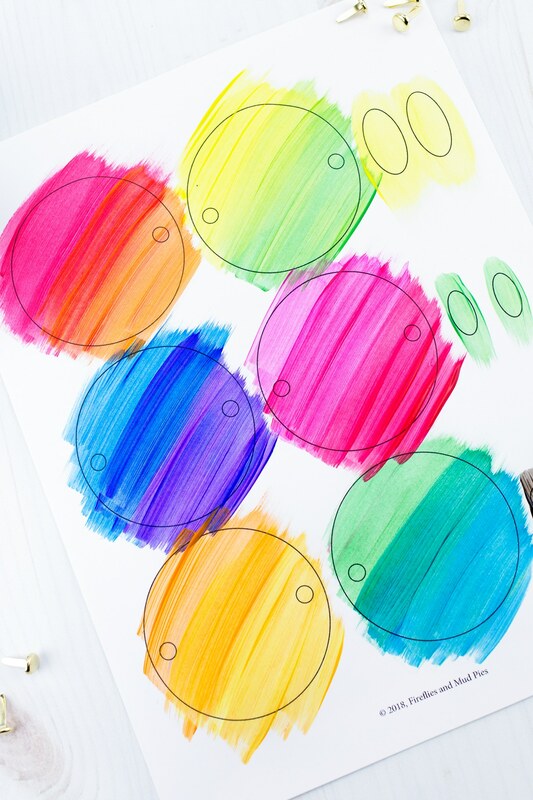 Invite kids to paint their template with washable paint. 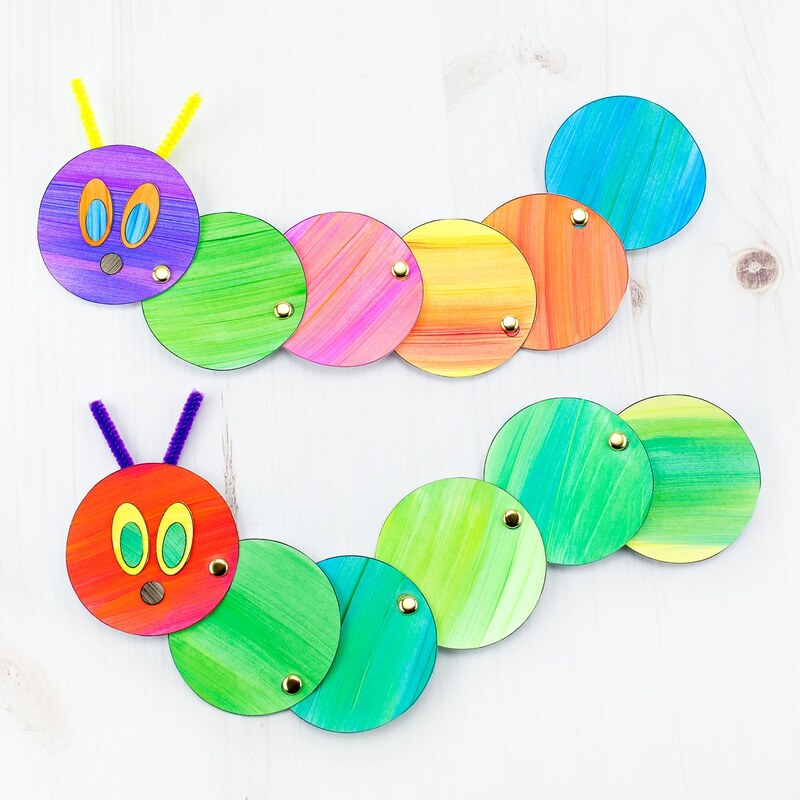 To make the caterpillar look similar to The Very Hungry Caterpillar, use a combination of red and orange for the caterpillar’s head, and blue, yellow, and green for the caterpillar’s body. 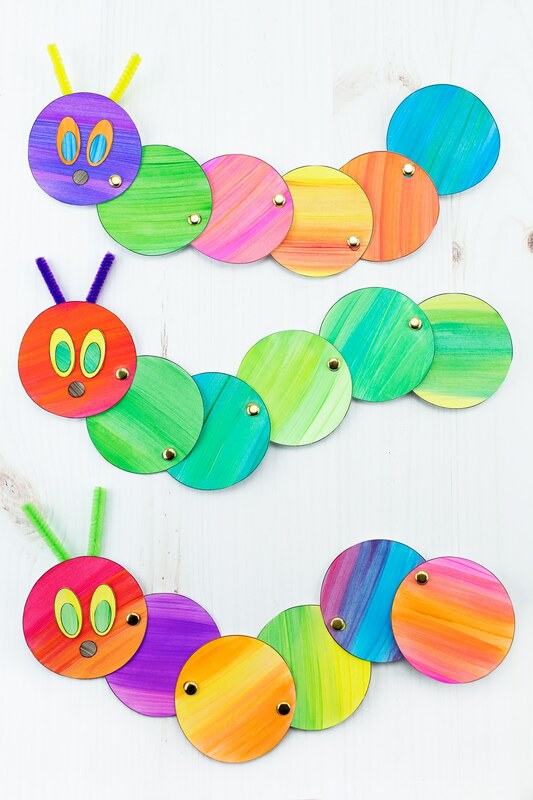 Kids can also make a rainbow caterpillar. I love the way the paint looks when it’s swirled together…so much visual interest! 3. When the paint is dry, invite kids to cut out their shapes. 4. 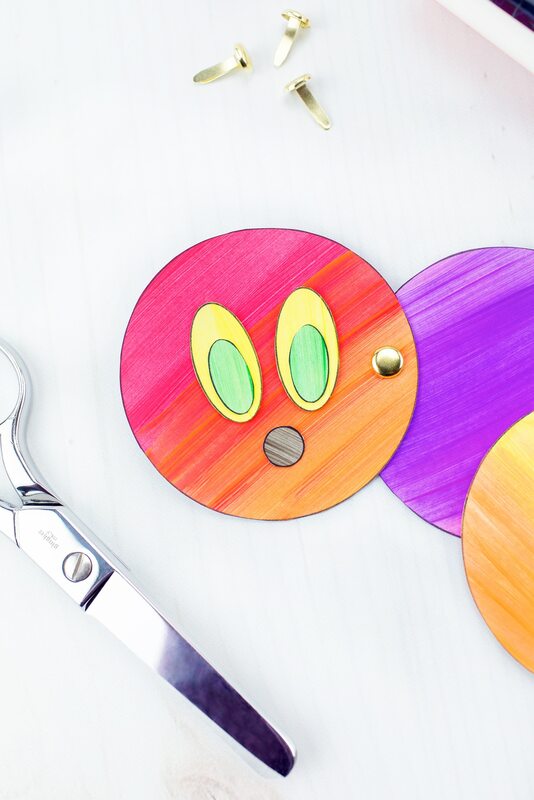 Use the single hole punch to punch out the small circles on the template. 5. 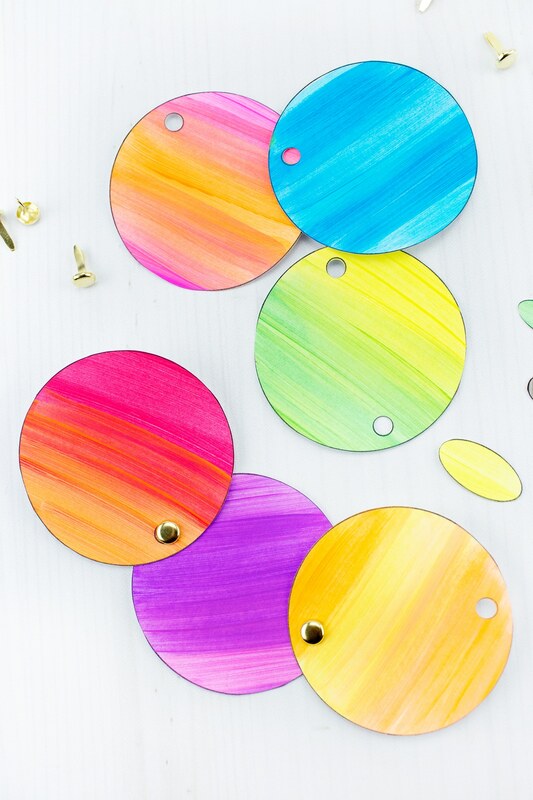 Connect each circle with the brass fasteners. 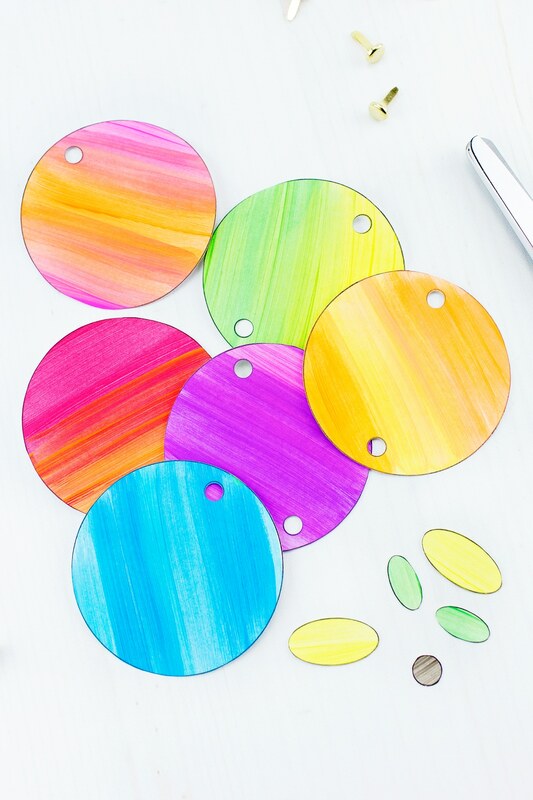 We used very basic fasteners from the office supply store, but many craft stores have vibrantly painted fasteners in the scrapbooking aisle. 6. Glue the caterpillar’s eyes and mouth to its head. 7. Invite your child to choose a pipe cleaner, then cut it to 4-inches. 8. Fold the pipe cleaner into a V-shaped curve, then tape it to the back of the caterpillar’s head. Then you’re done! Isn’t it adorable? 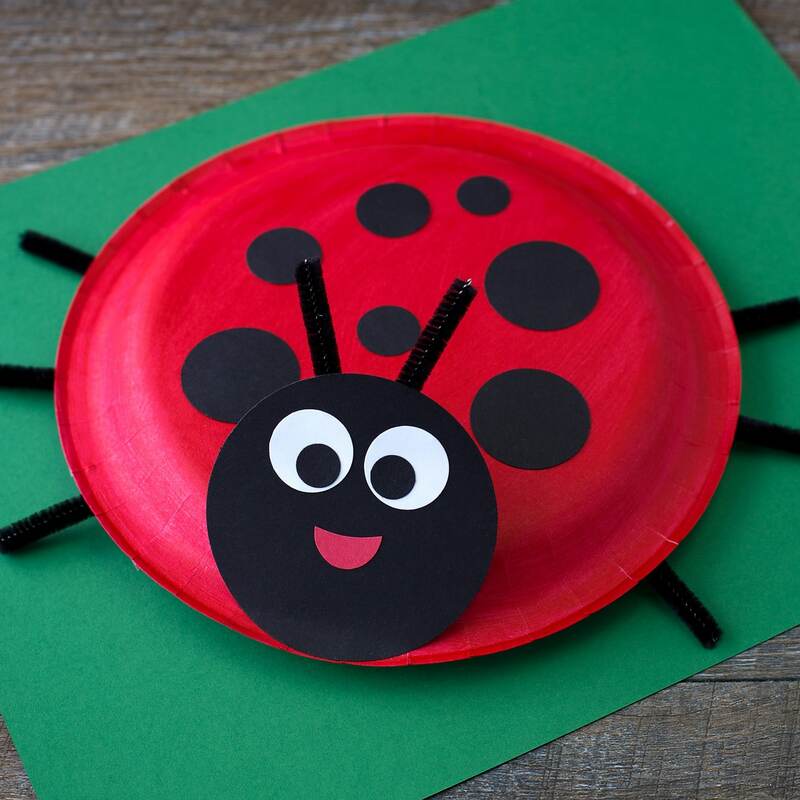 Click the images below to view more creative insect crafts for kids! Pourriez-vous m’envoyer le modèle de la chenille ? 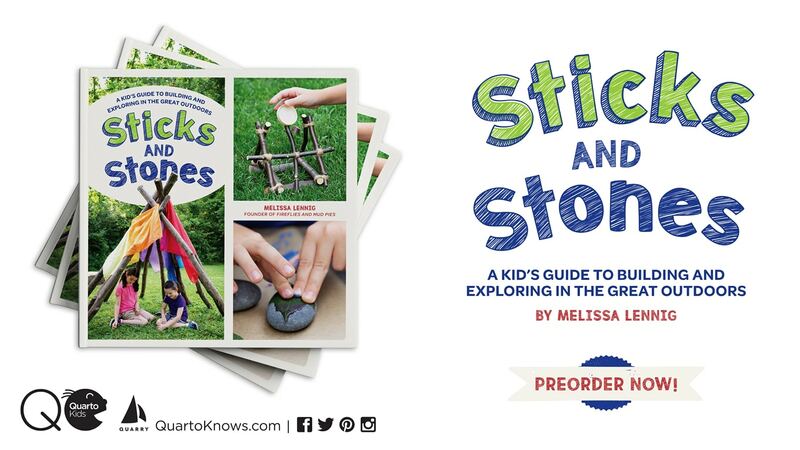 Nice page with many creative ideas. I like it!